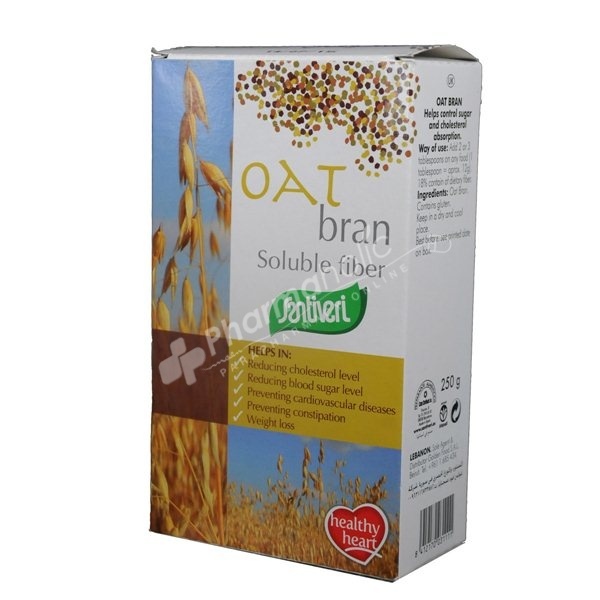 santiveri oat bran soluble fiber helps control sugar and cholesterol absorption. Add 2 or 3 tablespoons on any food (1 tablespoo = aprox. 12g). 18% conain of dietary fiber.